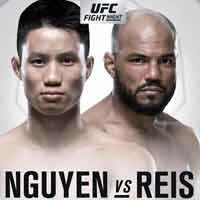 Review by AllTheBestFights.com: 2018-12-02, fight not so exciting between Ben Nguyen and Wilson Reis: it gets two stars. The black belt in tae-kwon-do Ben Nguyen entered this fight with a pro record of 16-7-0 (81% finishing rate) and he is ranked as the No.13 flyweight in the world but he comes off the loss against Jussier Formiga da Silva (Jussier Formiga da Silva vs Ben Nguyen); before this bout, in 2017, he had beat Tim Elliott (Tim Elliott vs Ben Nguyen). His opponent, the black belt in Brazilian jiu-jitsu Wilson Reis, has a mma record of 22-9-0 (45% submission victory rate – he has never won via ko/tko) and he entered as the No.17 in the same weight class but he comes off three consecutive losses: against Demetrious Johnson (Johnson vs Reis), current #1 Flw champ Henry Cejudo (Henry Cejudo vs Wilson Reis) and John Moraga (John Moraga vs Wilson Reis). 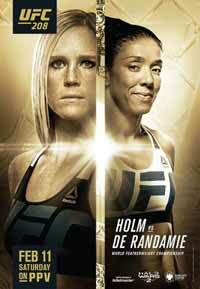 Nguyen vs Reis is on the undercard of Junior dos Santos vs Tai Tuivasa – UFC Fight Night 142. Watch the video and rate this fight! Review by AllTheBestFights.com: 2018-04-14, pretty good fight between John Moraga and Wilson Reis: it gets three stars. John Moraga entered this fight with a pro record of 18-6-0 (61% finishing rate) and he is ranked as the No.8 flyweight in the world (currently the #1 in this division is Demetrious Johnson). He lost three consecutive bouts between 2015 and 2017, the last one with Sergio Pettis (Pettis vs Moraga), but then he has won over Ashkan Mokhtarian and Magomed Bibulatov (Magomed Bibulatov vs John Moraga). His opponent, the black belt in Brazilian jiu-jitsu Wilson Reis, has an official mma record of 22-8-0 (45% submission victory rate – he has never won via ko/tko) and he entered as the No.11 in the same weight class. He fought three times last year beating Yuta Sasaki (Reis vs Sasaki) but then he lost to Demetrious Johnson (Johnson vs Reis) and Henry Cejudo (Henry Cejudo vs Wilson Reis). 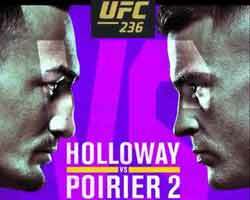 Moraga vs Reis is on the undercard of Dustin Poirier vs Justin Gaethje – UFC on Fox 29. Watch the video and rate this fight! Review by AllTheBestFights.com: 2017-04-15, good fight between Demetrious Johnson and Wilson Reis: it gets three stars (UFC Performance of the Night). The Ufc Flw champion Demetrious Johnson entered this fight with a mma record of 25-2-1 (56% finishing rate) and he is ranked as the No.1 flyweight in the world. ‘Mighty Mouse’ suffered his last loss when he faced Dominick Cruz in 2011 (= Cruz vs Johnson), since then he has collected one draw and eleven consecutive victories beating Henry Cejudo (=Johnson vs Cejudo) and Tim Elliott in his last two (=Johnson vs Elliott). His opponent, the black belt in Brazilian jiu-jitsu Wilson Reis, has an official record of 22-6-0 (45% finishing rate) and he entered as the No.7 in the same weight class. He lost to Jussier Formiga da Silva in 2015 but then he has won over Dustin Ortiz, Hector Sandoval and Yuta Sasaki (=Reis vs Sasaki). 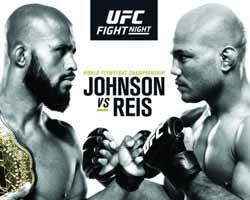 Demetrious Johnson vs Wilson Reis, main event of UFC on Fox 24, is valid for the Ufc Flyweight title (Johnson’s tenth defense). Watch the video and rate this fight! Review: 2011-09-24, even with the ko with which Dantas defeated Wilson Reis, the fight does not reach our three stars. With this victory Eduardo Dantas gets to the semi-finals of the Bellator Bantamweight Tournament (Bellator 51). Watch the video!